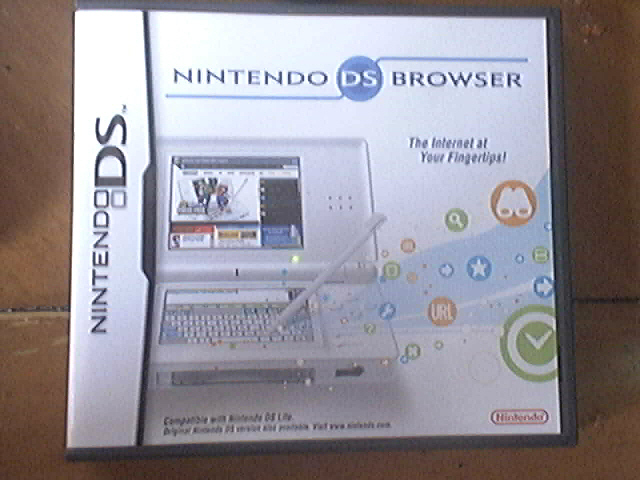 The Nintendo DS Browser, came with an Memory Expansion Pak, similar to the one offered for the N64, both adding an expanded Ram to their respective consoles. The N64’s game Donkey Kong 64 was bundled with the N64’s 4Mb expansion. Also the alone 4Mb expansion was easily available for purchase. The Expansion Pak was a requirement for Donkey Kong 64 and The Legend of Zelda: Majora’s Mask. The game was also required for some core features in the games: Perfect Dark, Starcraft 64,Indiana Jones And The Infernal Machine 64, Hydro Thunder, San Francisco RUSH 2049, and F1 World Grand Prix 2. 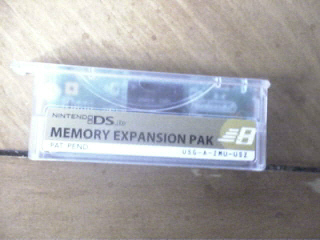 The expansion Pak also added additional graphical upgrades to around 50 more games. These Games Include 007: The World is Not Enough, All-Star Baseball 2000, Army Men: Sarge’s Heroes 2, Castlevania: Legacy of Darkness, Command and Conquer 3D, Cyber Tiger 2000, Donald Duck: Goin’ Quackers, Duke Nukem: Zero Hour, F-1 World Grand Prix II, Gauntlet Legends, Hybrid Heaven, Hydro Thunder, Indiana Jones and the Infernal Machine, Indy Racing 2000, International Track and Field 2000, Jeremy McGrath’s Supercross 2000, Ken Griffey Jr.’s Slugfest, Madden NFL 2001, Mega Man 64, Namco Museum 64, NFL Quarterback Club ’98, NFL Quarterback Club ’99, NFL Quarterback Club 2000, NFL Quarterback Club 2001, Nuclear Strike 64, Pokémon Stadium 2, Quake II, Rayman 2, Re-Volt, Resident Evil 2, Road Rash 64, Roadsters, San Francisco Rush 2049, Shadow Man, South Park, Star Wars: Episode I Racer, Star Wars: Episode I Battle for Naboo, Star Wars: Rogue Squadron, Stunt Racer 64, Supercross 2000 , Tony Hawk’s Pro Skater, Tony Hawk’s Pro Skater 2, Tony Hawk’s Pro Skater 3, Top Gear Hyper Bike, Top Gear Overdrive, Top Gear Rally 2, Turok 2, Turok: Rage Wars, Turok 3: Shadow of Oblivion and Vigilante 8. Now the Wii‘s Virtual Console has yet to see any games that use the Expansion Pac, I’m wondering a few things. First, dose the Wii’s virtual Console software currently have support for the expansion, I mean were not going to have have a repeat of Kid Icarus. 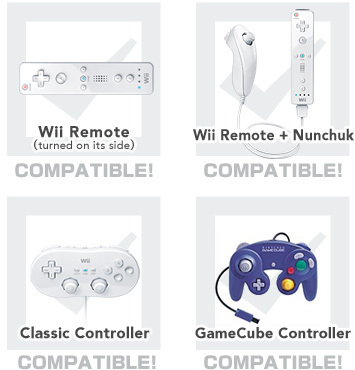 Second, will the Wii’s Virtual Console have the Expansion Pak accessible for games that only use it and do not require it. A likely scenario is that one of the games that uses the power of the Expansion Pak, but doesn’t require it, will be released before a game like Donkey Kong 64 or Zelda: Majoras Mask, with out using the expansion, I guess they could update the Rom itself, like they did for Star Fox. 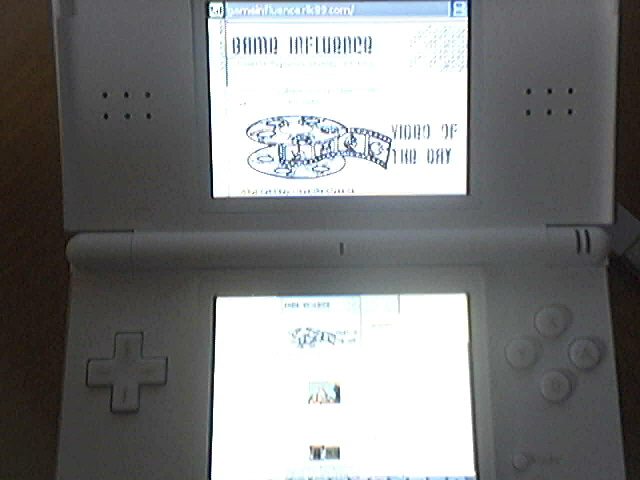 Some DS game, beside the Nintendo DS Browser, could use this Expansion Pak. Those N64 remakes that people are waiting for, could maybe be released if they used the Pak. Maybe we could get an Legend of Zelda: Ocarina Of Time Remake. What do you think? Should you get this Program? It depends, if you on the go in areas with WiFi connections or want to access the Wi-Fi connection in your school, but don’t have a laptop; Then you should get it, otherwise I do not suggest getting it. Finally expect a post on the DS’s new Expansion Pak within the hour.